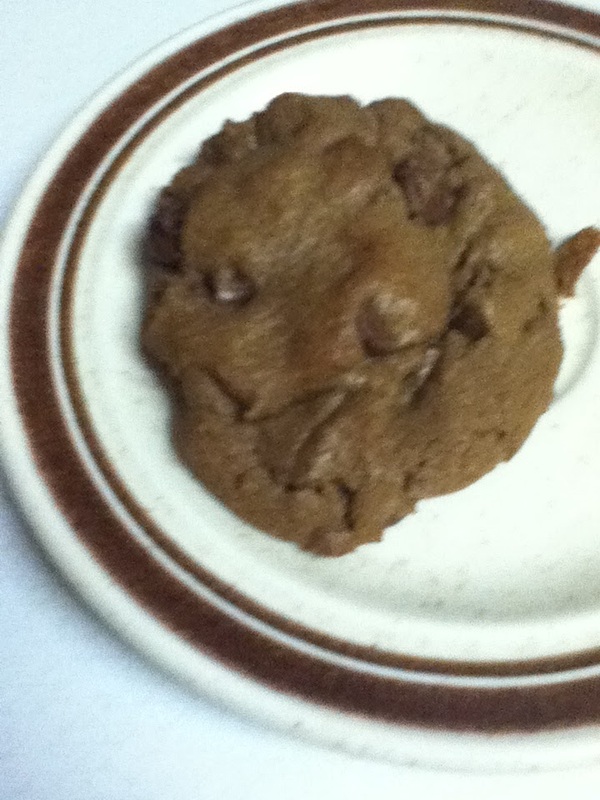 Here is another cookie creation to share. 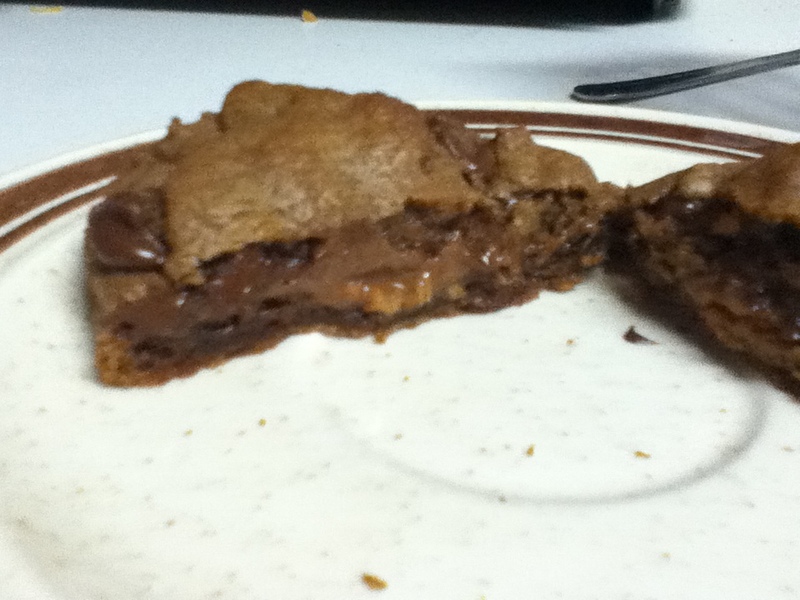 It is a double chocolate chip cookie with a peanut butter cup surprise. My husband brought home candy on sale (at Wal-Mart?) and got me a package of Reese's Peanut Butter Cups. 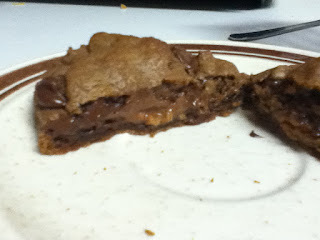 So what I did was follow the Nestle Toll House Cookie recipe, added 1/3 cup of cocoa, put a ball of the finished dough on the cookie sheet, added a quarter of the peanut butter cup in the center, and added more dough on top to cover the candy. Bake at 350 degrees for 8-10 minutes. Yum! this turned out really well! 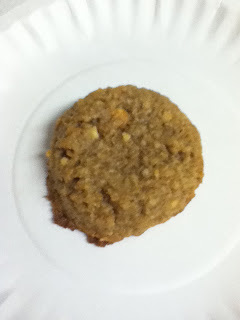 Next I have another version of the Healthy Cookie recipe. I was out of half of the ingredients I originally used so here is another version. It is a Peanut Butter Graham flourless cookie. 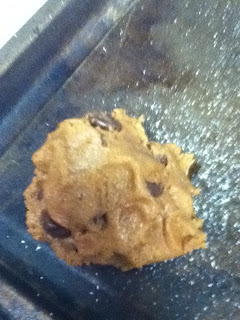 My are always skeptical whenever I "Just Wing" a new recipe, but it turned out to be a good cookie. Here is the recipe. Cream butter,shortening, and brown sugar. Add remaining ingredients. Drop by round teaspoonfuls, press down slightly. Bake 8-10 minutes at 350 degrees. 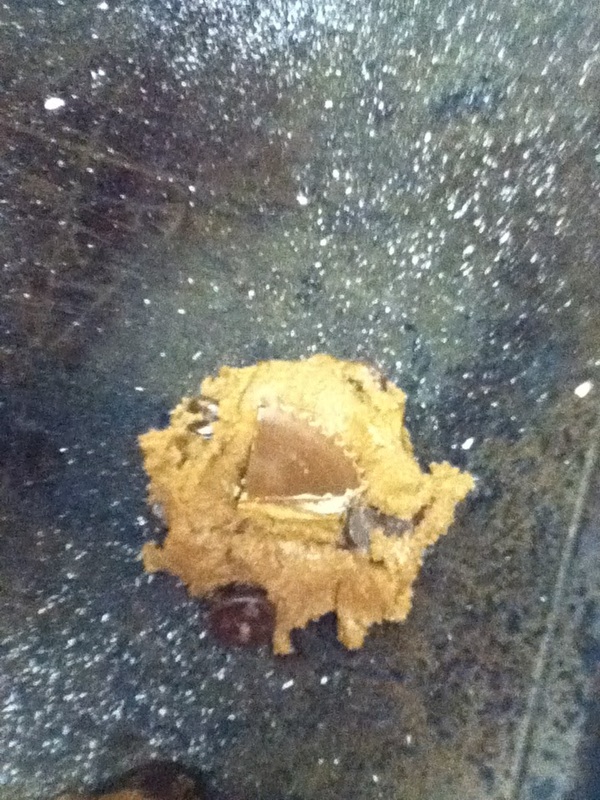 I have never mad a flourless cookie (or cake). I am intrigued! These are great looking cookies! Sure wish I had one or two right now to go with my coffee. Hope you are having a great week end and thanks so much for sharing with Full Plate Thursday. They look yummy! I'll take 2 of each, please! Thank you for linking to It's a Party!